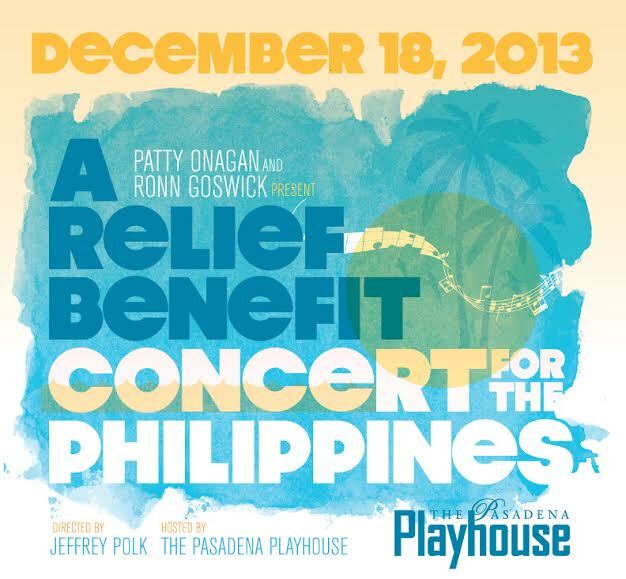 In response to the devastating typhoon and its aftermath in the Philippines, producers Patty Onagan and Ronn Goswick have announced A Relief Benefit Concert for the Philippines at The Pasadena Playhouse, a one-night-only event on Wednesday, December 18 at 7:30pm. Proceeds will support the American Red Cross’ Typhoon Appeal and its efforts to assist overseas as the people of the Philippines begin to recover and rebuild. A sparkling who’s who of Los Angeles and Broadway talent will be coming together to show their support, entertain, and help raise money to assist with relief efforts in the Philippines. The performers, in alphabetical order, include Joan Almedilla (Les Misérables/Miss Saigon), Michael Arden (bare: a rock musical/FX Network’s Anger Management), Sharon Catherine Blanks (Dreamgirls) and Billy Blanks, Jr. (Fame), Yvette Cason (Dreamgirls), LaVance Colley (Smokey Joe’s Cafe), Loretta Devine (Dreamgirls/ABC-TV’s Grey’s Anatomy), Danny Gurwin (The Scarlet Pimpernel/Little Women), Cliffton Hall and Deedee Magno Hall (Wicked), Sam Harris (The Life/The Producers), Dawnn Lewis (Sister Act: The Musical/NBC-TV’s A Different World), Andy Mientus (Spring Awakening/Les Misérables), Nicole Parker (Funny Girl/Wicked), Jennifer Paz and Anthony Federov (Miss Saigon/Joseph and the Amazing Technicolor Dreamcoat), Valerie Perri (Evita/Gypsy/Man of La Mancha), Kelli Provart (Aida), Joan Ryan (Ruthless/TV’s Saved By The Bell), Gwen Stewart (Rent), Lea Thompson (Cabaret/NBC’s Caroline in the City), and Nita Whitaker (cabaret and concert star). All appearances are subject to availability. 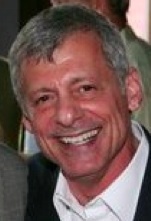 A Relief Benefit Concert for the Philippines at The Pasadena Playhouse will be directed by Jeffrey Polk with (in alphabetical order) Abdul Hamid Royal, Todd Schroeder, Gerald Sternbach, and John Gentry Tennyson serving as musical directors. Tickets range in price from $35 — $100, with a $250 VIP ticket that includes premium seating and a pre-show meet and greet with the performers. Tickets can be purchased online at www.PasadenaPlayhouse.org, by calling (626) 356-7529, or in person at The Playhouse box office. The Pasadena Playhouse is located at 39 S. El Molino Avenue in Pasadena.